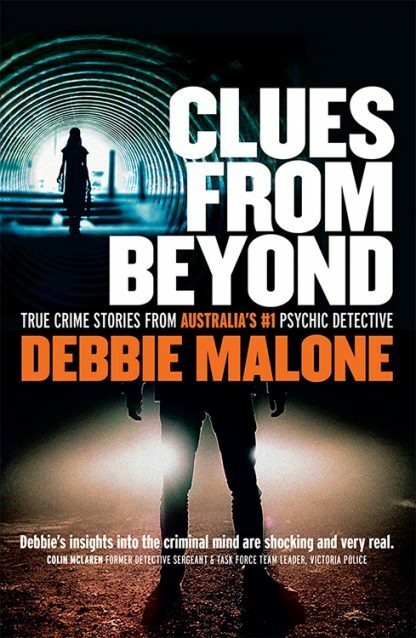 Clues from Beyond explores the truth about some intense real-life Australian crimes as seen through the eyes of a psychic medium as she investigates criminal cases and unsolved murders. In this companion to Never Alone, Debbie shares more personal accounts of experiences with the spirit world and the ripple effect they create in extending proof that life and love still go on across the veil. Some stories are heart-warming and some are chilling, but all will captivate and draw you in with curiosity as you explore the truth about life and love through the perspective of those in spirit.